This skip-the-line ticket grants you access to one of Lisbon's must-see attractions. Located in the very center of the old neighboorhood this fortification represents an incredibily important era of Portuguese History and on top of that, it boasts breathtaking views over the city and the Tagus River. Visit the castle and its ruins, stroll through its gardens and enjoy a throwback to medieval times. Pick up your tickets from th Boost Urban Thrills shop in the heart of Baixa and get insider tips on the quickest and most convenient way to the Castle! 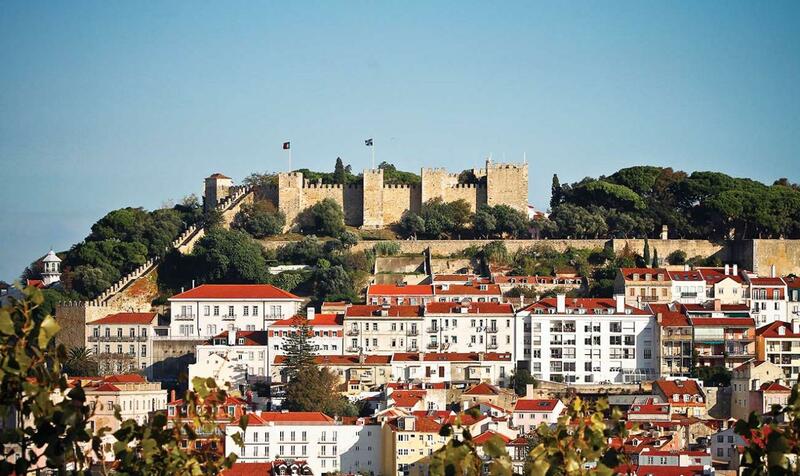 The Castelo de S. Jorge occupies a privileged area of the old medieval citadel where the portuguese elite used to live, as it is located in the very heart of Lisbon. This fortification was built by the Moors in the 11th century, and it represented the last and most important defensive stronghold for the elite who resided on the citade. By the time Dom Afonso Henriques conquered Lisbon back from the Moors, in 1147 and became the first King of Portugal, the castle was such an important landmark that it was chosen as the home of the portuguese royal family. Given this choice the Castelo de S. Jorge underwent several transformations up until it was fully converted into a royal palace in the 13th century. It became such a source of pride that it was chosen to receive many notable Portuguese and foreign figures, as well as a place to hold important festivities as well as coronations during the 14th, 15th and 16th centuries. Hundreds of years later, the castle and ruins of the former royal palace were rediscovered following major restoration work carried out in the late 1930's and ancient buildings were rescued from the midst of previous demolition projects. The castle regained its former magnificence and was finally reopened for public use. Visitors can learn about these past lifestyles from evidence as well as walk around the castle grounds and gardens and simply enjoy themselves and the majestic views. The ticket is only valid for the date booked. The ticket can only be collected on the day of the visit. Remember to pick up your ticket from Rua dos Douradores 16 (10 minute walk to the Castle). 1st of January (all day).